The presentation can add an extra layer of excitement and X factor into any gift item. Check out this exotic arrangement of pink roses that are beautifully paired with yellow and violet flowers. 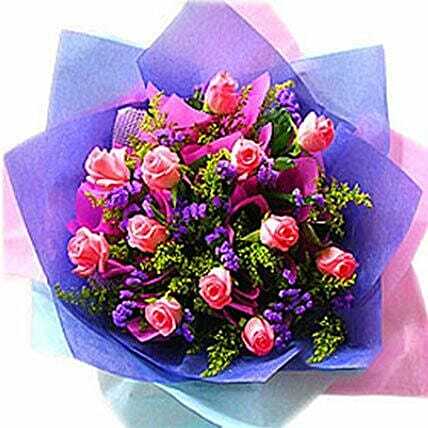 This adorable bouquet is truly designed for the people that have special significance and importance in your life. Place the instant online order for the same.